The precise details from our technical team, follow the specifications for all appliances, electrical and plumbing. These drawings are distributed and reviewed by all tradesmen. Blocking documents include specifications for the location for backing as well as complete dimensions and locations for walls and soffits. 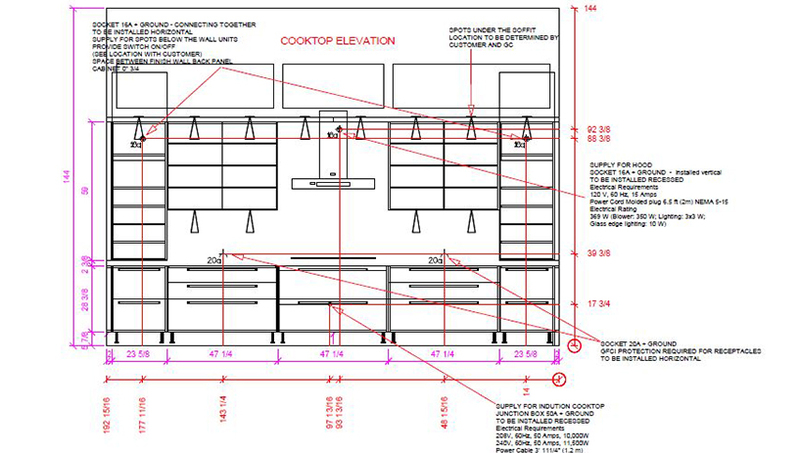 All Technical drawings follow local building codes. Meetings with owners, all contractors and a member of the premium team communicate a projected time line for the entire job.